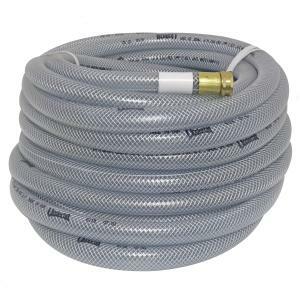 Underhill's economical UltraMax water hose is a great choice for light to medium duty commercial applications. This lightweight multi-purpose clear hose is made of clear pliovic materials reinforced with spiral yarn for added strength. Stays flexible in colder weather.